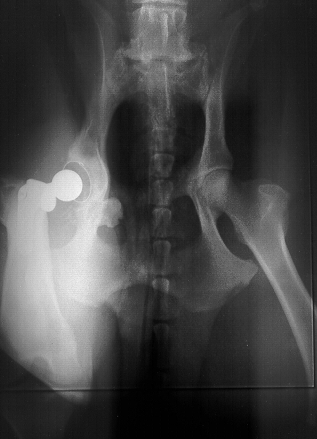 Note how the ball of the femur head sets deeply into the acetabulum (socket). 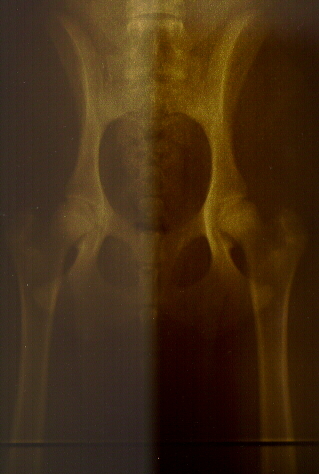 preliminary views taken at 6-8 months of age. 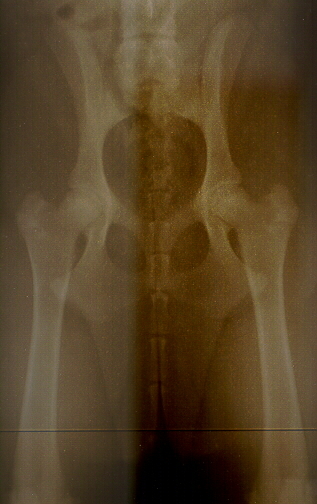 that the ball of the femur does not fit deeply into the socket on either side. coverage, a nice smooth surface and no degenerative changes. Cody, age two years & Cody, age 7 years. 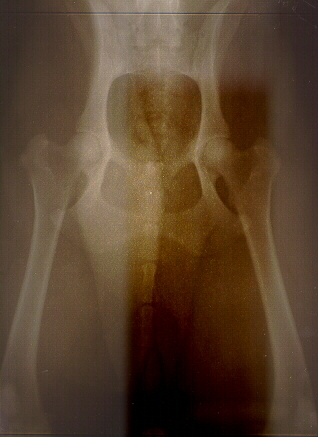 above x-rays. Look at Cody's 2 year next to Risky's 8 month. Cody, age 2 years compared to Risky, age 8 months. 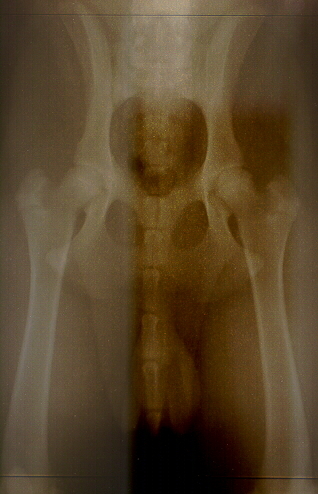 Cody's 2 year x-ray remained free from DJD and at age 7 would probably pass OFA. 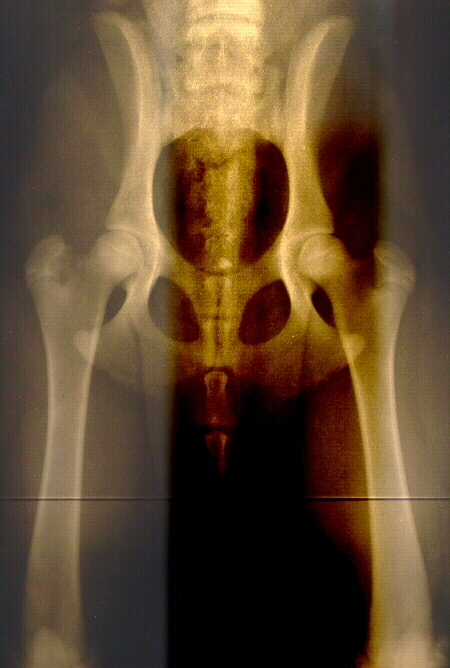 Finally, here is a picture of Cody's hips before and after his Total Hip Replacement. 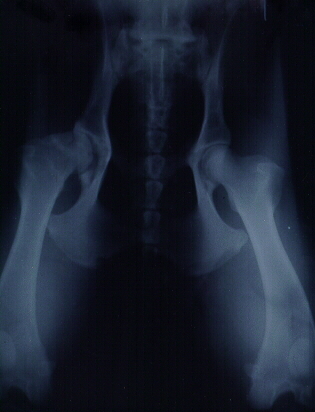 stem extends well down into the leg bone. 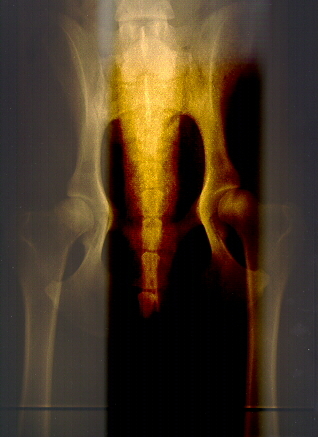 diagnoses through the stages of arthritic, degenerative changes that occur over time.